On June 10th The Union in Los Angeles hosted a benefit show for the now closed Complex. This local venue catered to the underground and their many art forms but was particularly partial to the Metal Scene. After its sudden and unfortunate demise the Complex together with Church of the 8th Day brought forth a band of artists and musicians to raise money for expenses lost due to the closure. 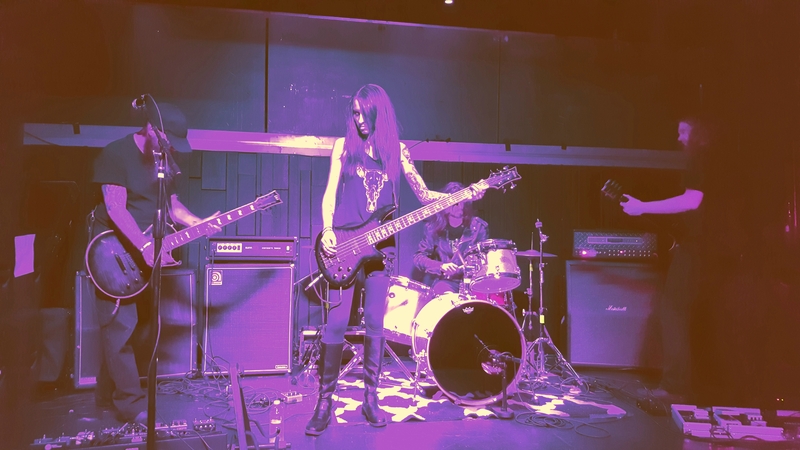 While there were plenty of notable acts such as Young and in the Way, Ironaut, and Plagues, the band Sixes delivered their Blackened brew of doomy stoner metal that has already stirred up a buzz within the metal scene. 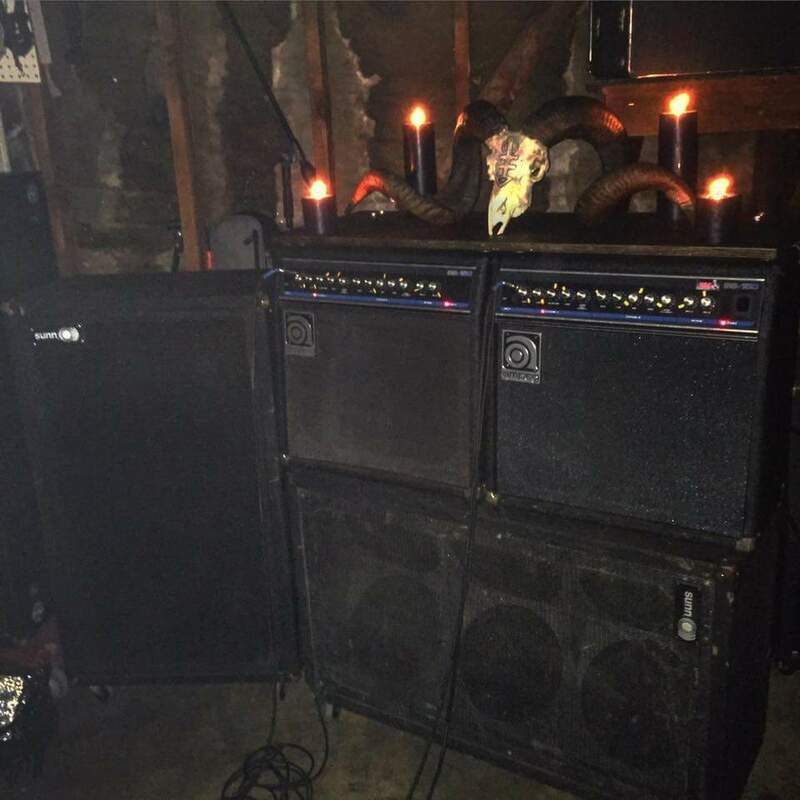 The darkened room is suddenly filled with ominous distortion moving the ambience into a slow rhythmic pattern, as the first notes of Acid God ring through. The rest of the band then makes their entrance and the ears are graced by a mind numbing scream from vocalist Stephen encroaching into an unforgiving relentless doom ladened groove. Methistopheles was a treat in itself, not taking away from the haunting feedback Sixes jumped into a furious unmerciful tune, vocals being spit out with vigor and rage, dripping with emotion and seeping into the very core. A Cross to Burn was the final song of the set, already a fan favorite this was a pleasure to see performed live. Headbanging through the rumble and becoming entranced by the music could be seen by those present. Sixes definitely have a lot to offer in terms of musicanship but they also possess the ability to speak through their songs. Be sure to keep an eye out for their debut album out later this year.